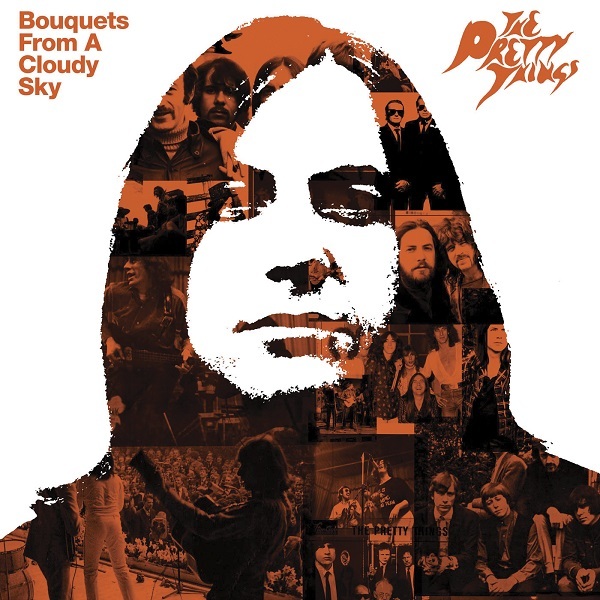 February 23, 2015 marked the release of the massive boxed set Bouquets from a Cloudy Sky documenting the complete Pretty Things collection. What we have here are eleven studio albums on CD in gatefold digi-sleeves including 42 bonus tracks; two bonus CDs with an additional 45 previously unreleased demos, alternate versions, live recordings, and outtakes; two DVDs with the documentary Midnight to Six 1965 – 1970 plus SF Sorrow Live at Abbey Road, The Pretty Things on Film, plus promo videos and interviews; a 10-inch vinyl replica with the demo “Defecting Grey,” studio version of “Turn My Head,” and two previously unreleased tracks; a lavishly illustrated 100-page hardback book; a family tree and testimonial posters; the infamous court case history; and some brand new art prints by Phil May. I cannot comment on the entire boxed set as the demo provided only included 15 tracks sampled from the various discs, all of which are unique to this release. What can I say about The Pretty Things that has not already been said over the decades? They were a ground-breaking band and quite possibly the finest British R&B group who influenced many bands who came after them. They were the first Brit band to be busted for drugs, they had the first banned single “Don’t Bring Me Down,” they were the first rock ’n’ roll prosecution of a loaded firearm, the first to record and release a five-minute single, the first band to record a rock opera, etc. though some of these achievements may not be so admirable today. Their studio albums have been available on CD, though hard to find. Now you have the opportunity to experience the sheer power of this band spanning the decades via The Pretty Things (1965), Get the Picture? (1965), Emotions (1967), S.F. Sorrow (1968), Parachute (1970), Freeway Madness (1970), Silk Torpedo (1974), Savage Eye (1976), Cross Talk (1980), Rage Before Beauty (1999), and Balboa Island (2007) all at once along with a ton of extra music. Bouquets from a Cloudy Sky is a fan’s dream release, though it will set you back a pretty penny. If you enjoy uncompromising garage-psych and R&B, this set could possibly be for you.